Tanglewood schedule Aug. 10 - 16, 2012 Yo Yo Ma and Pinchas Zukerman. 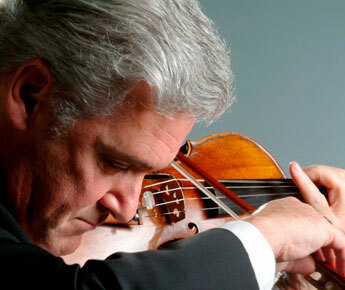 On Friday, August 10, Pinchas Zukerman-who first performed at Tanglewood in 1969-acts as both conductor and solo violinist in an all-Bach program-a popular concert format throughout the history of the festival-that highlights some of the exceptional talent within the ranks of the BSO. In addition to Mr. Zukerman and guest harpsichordist John Gibbons, BSO principal flutist Elizabeth Rowe, principal oboist John Ferrillo, and concertmaster Malcolm Lowe take solo turns in an all-Bach program featuring the Brandenburg Concertos Nos. 3 and 5, the Violin Concerto No. 1 in A minor, BWV 1041, the Concerto in D minor for two violins and strings, BWV 1043, and the Concerto in C minor for violin, oboe, and strings, BWV 1060. Yo-Yo Ma returns to the Shed stage Saturday, August 11, as soloist in Elgar’s cathartic Cello Concerto, with conductor Stéphane Denève, who also leads the orchestra in the world premiere of a BSO-commissioned new work by André Previn and Shostakovich’s riveting Symphony No. 5. Christoph von Dohnányi takes the podium once again Sunday, August 12, for a program spanning almost 200 years of the Germanic music tradition. Widely acclaimed pianist Paul Lewis makes his BSO and Tanglewood debuts as soloist in Mozart’s Piano Concerto No. 23 in A, K.488, bracketed by Beethoven’s Symphony No. 4 and Strauss’s Till Eulenspiegel’s Merry Pranks. The young and adventurous Ébène String Quartet, which has rocketed to stardom in recent years, brings its fresh approach to string quartet performance to Ozawa Hall on Thursday, August 16. As is typical in Ébène performances, the quartet juxtaposes the classic with the new, first delving into Mozart’s Quartet No. 15 in D minor, K.421, and Tchaikovsky’s Quartet No. 1 in D, Op. 11, then changing gears with jazz selections arranged by the ensemble members and filled with improvisation.